Not everything from the past is worth revisiting. 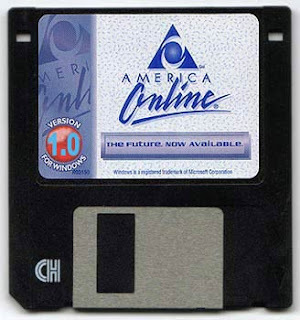 Sometime in the mid-nineties, my dad got an AOL account. Roughly two seconds after that, I fell down the rabbit hole of anonymous chat rooms and never quite got out–that is when I wasn’t getting the deadly, dreaded dial-up busy signal. AOL charged by the hour back then. Until the service switched to a flat monthly rate in October, 1996, the clock was always ticking, forcing you to make the Sophie’s Choice of where to spend your time online. Last week, Comcast began testing a usage-based pricing model and at the cable industry trade show in Boston yesterday, Julius Genachowski, chairman of Federal Communications Commission expressed support for the notion. Public interest groups have decried the potential impact broadband data caps will have on the market and innovation, not to mention the biases baked in the plans. Comcast, for example, counts Netflix video into its data plan, but lets its own XFinity service stream away. Initially Genachowski promised to rein in companies restricting internet activities but his position on the matter seemed to have evolved over the past couple years. And as we heard in a letter from more than two dozen leading technology CEOs:“Common sense baseline rules are critical to ensuring that the Internet remains a keyengine of economic growth, innovation, and global competitiveness.” The innovators, entrepreneurs, and tech leaders recognize, as I do, the vital need for investment in broadband infrastructure. But– based on their in-market experience – they also tell us that broadband providershave natural business incentives to leverage their positions as gatekeepers of the Internet in ways that would stifle innovation and limit the benefits of the Internet.They point out that, even after the Commission on a bipartisan basis announced open Internet principles in 2005, we have seen clear and troubling deviations from open practices. What did Genachowski have to say at the recent industry-sponsored trade show and how does that differ from his position a couple years ago? That does not seem true if you consider Comcast's attack on competition by favoring its own Xfinity streaming services over competition. Customers who are in a Comcast market will have less choices then before. Xfinity TV packages range from $29.99 to $84.99 per month, with the higher packages including movie channels like Showtime or HBO, and this doesn't include Comcast's streaming programs. You can then add any of their numerous streaming services to any package ranging in price from $4.99 to $14.99 per month, with each streaming bundle offering different content. By comparison, Hulu Plus and Netflix are both $7.99 per month and they don't break up the content into separate micro-purchases. A consumer with Comcast would be forced to pay higher prices for less content because of the pricing setup. This is very reminiscent to the actions taken by Microsoft to stifle competition and secure a monopoly for its browser, Internet Explorer, and should be a clear indicator to any regulator that usage-charges would diminish consumer choice and competition, as is already evidenced by Comcast selectively charging usage fees for their competitors like Netflix. Ever since Microsoft lost their case against the United States, the browser market had greatly diversified, with Google's Chrome browser recently overtaking the one-time giant. Consumers have choice. They can select between Opera, Firefox, Safari, Chrome, or Internet Explorer, and without Microsoft stifling the competition, these competitors are able to bring to market products people want. Ask yourself this: Would Netflix or Hulu ever gained traction if Comcast or any other cable company were able to use their billing structure to make them uneconomical?